OWN has renewed its acclaimed original drama series Greenleaf for a third season. Additionally, Rick Fox, who portrays journalist Darius Nash, has been upped to a series regular for the new season. "We can't wait to see what another season of Greenleaf will bring," said Erik Logan, President, OWN: Oprah Winfrey Network. "This series was instrumental in evolving OWN's scripted programming and it continues to pull in viewers each week with its unique storytelling and characters." "We're excited to extend our relationship with Oprah Winfrey and the OWN team for a third season of the hit series Greenleaf," said Lionsgate Executive Vice President & Head of Worldwide Scripted Television Chris Selak. "The combination of a brilliant creator, an incredibly talented cast and inspirational music have positioned Greenleaf for a long run, and we can hardly wait to see where the third season takes us." Previously announced, the second half of season two will return with a two-night premiere on Tuesday, August 15 and Wednesday, August 16 at 10 p.m. ET/PT and will regularly air Wednesday nights at 10 p.m. ET/PT. Year to date, Greenleaf is the #5 original scripted series on ad-supported cable in W25-54 in Live+3. It is Wednesday night's #2 original scripted cable series for W25-54 and one of the Top 4 original scripted cable series for African-American women and total viewers. The series is averaging over 2 million total viewers in Live+3. 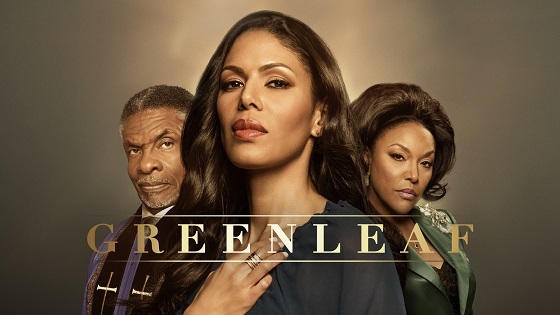 Greenleaf takes viewers into the unscrupulous world of the Greenleaf family and their sprawling Memphis megachurch, where scandalous secrets and lies are as numerous as the faithful. The series centers on the journey of estranged daughter and disillusioned preacher Grace Greenleaf (Merle Dandridge) who has returned home after 20 years on the occasion of the mysterious death of her sister, Faith. As she reenters the world of Calvary Fellowship World Ministries, the Memphis megachurch run by her powerful parents Bishop James Greenleaf (Keith David) and Lady Mae Greenleaf (Lynn Whitfield), it becomes evident that things are not as virtuous as they seem and that the family's outward display of faith hides sin and misdeeds. The series also stars Lamman Rucker (As the World Turns, All My Children), Deborah Joy Winans, GregAlan Williams, Kim Hawthorne, Tye White, Rick Fox, Desiree Ross and Lovie Simone.